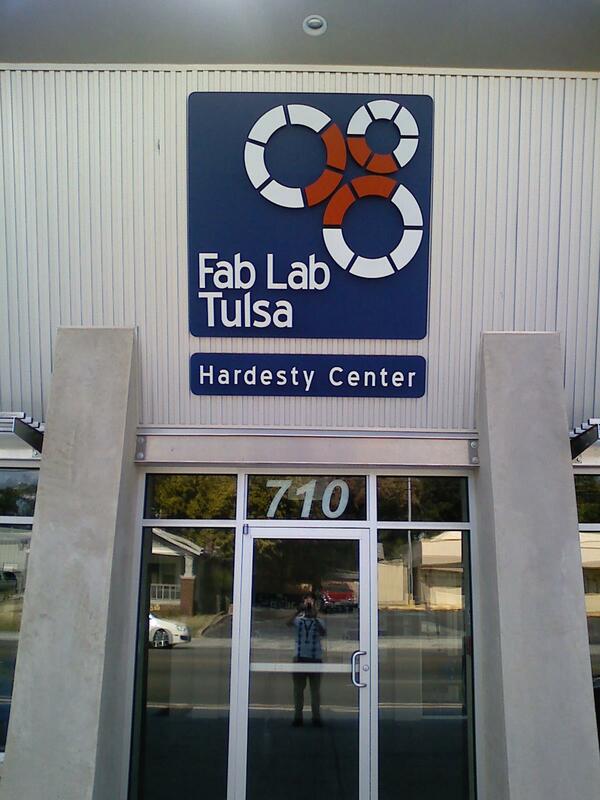 Fab Lab Tulsa: Our new sign! OK so I posted to our main website too but I'm too excited about the sign and our progress just to leave it at that. 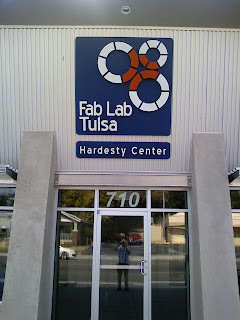 The sign looks great and we're thrilled to finally have some identification on the building...a real front door.